The island nation known as the Seychelles can be found in the Indian Ocean off the East coast of Africa, North of Madagascar. There are 115 islands in the archipelago. 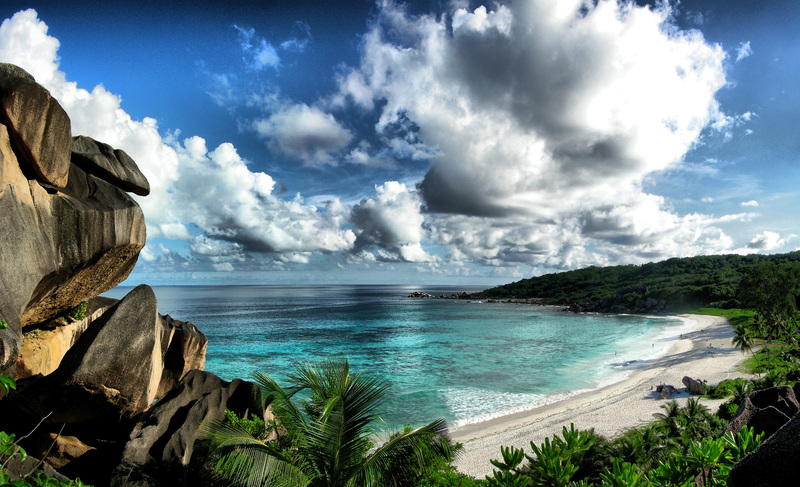 Seychelles has become a popular tourist destination, thanks to its stunning tropical beaches and interesting wildlife. Popular activities include diving, fishing, sailing, and laying around on amazing white sand beaches. Visitors can find any range of accommodation on the main islands of Praslin, La Digue or Mahé, as well as a variety on outlying islands. Wow !! Wonderful place to visit. Nature is beautiful. Will visit soon. Thanks. What can I say? I’s a God’s Gift. It’s just perfect! Seychelles is the best place to be! Nature, friendly people, the best beaches in the world! The water is so crystal-clear, that you have the immediate urge to jump in it. Just look at these pictures here, they truly look like from “another world”. When in Seychelles visit Cousin island Special Reserve off Praslin island. Its the most amazing place to see island wildlife. All travel agents can book a trip there.